The giving of thanks is a very important part of the Christian life, but true Christian thanksgiving is something quite different from what is depicted on the annual TV Thanksgiving specials. 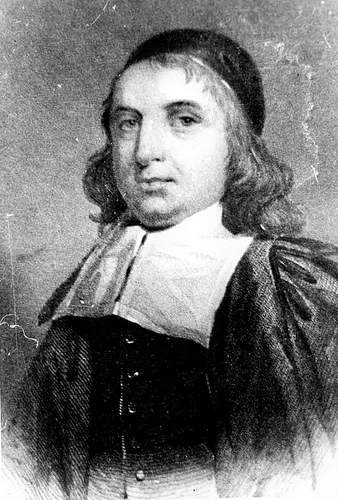 John Flavel, a seventeenth-century English Presbyterian minister, once preached a very helpful sermon on the giving of true thanks, and the following are a few excerpts from it (the full text can be found in publically available editions of his collected works under the title “The Seaman’s Return”). “Fourthly, the thankful person must faithfully record His mercies . . . . Forgotten mercies bear no fruit; a bad memory in this case makes a barren heart and life.” He admits “that the mercies of God are such a multitude, that a memory of brass cannot retain them”: it is as “impossible to recount all of our mercies” as it would be “to number the drops of rain that fall in a shower.” But that is no excuse, and Flavel urges us to use “all the helps to memory” that we can find to help us in this endeavor. This entry was posted in Quotations, Worship by christrbc. Bookmark the permalink.